Like previous years, nobody will be hungry or thirsty during Secret Solstice. 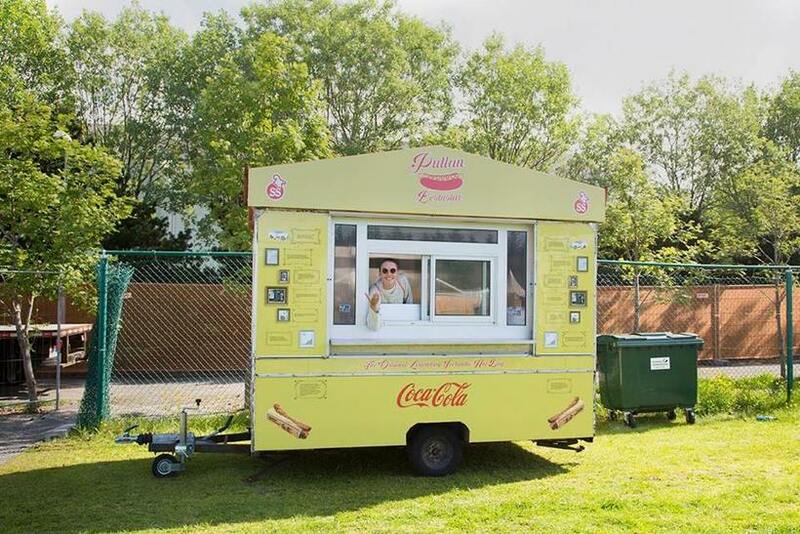 That’s why we wanted to let you know about all the various food options available on site during the festival that’s taking place under the midnight sun. 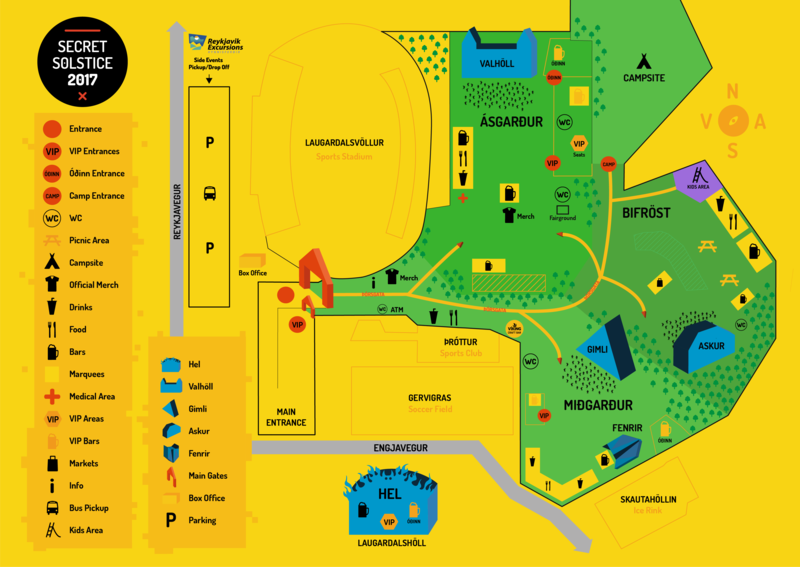 Take a look at our map HERE to get a better look at where you can find our magical food areas that will be distributed close to our stages Valhalla, Gimli and Askur. So let’s take a look at all the food you can feast your eyes on during Secret Solstice. Yes, we all love fast food during festivals and couldn’t survive without it. 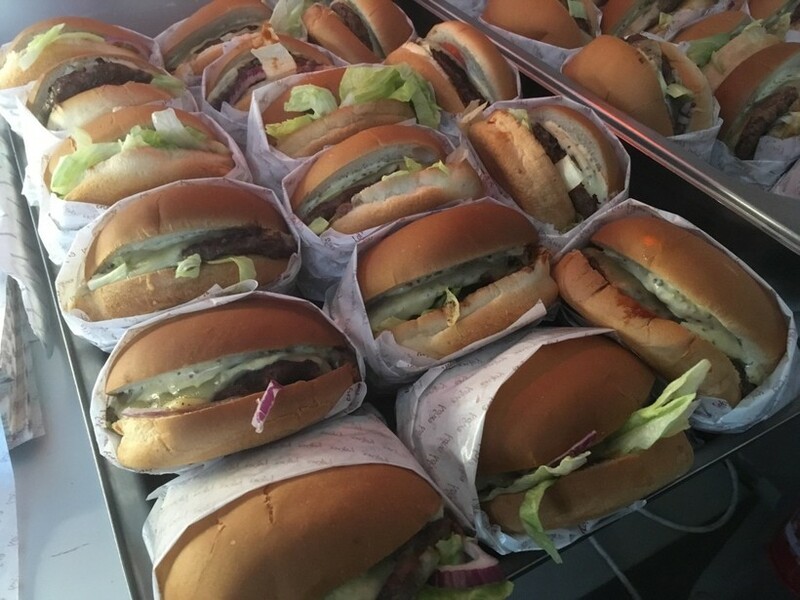 That’s why we always choose quality fast food vendors and a lot of them. Want pizza? Then head over to Domino’s or if you’re in the mood for something even greasier Hamborgarabúllan, Hamborgarafabrikkan, Chuck Norris, Laundromat Cafe and Prikið will be something for you. 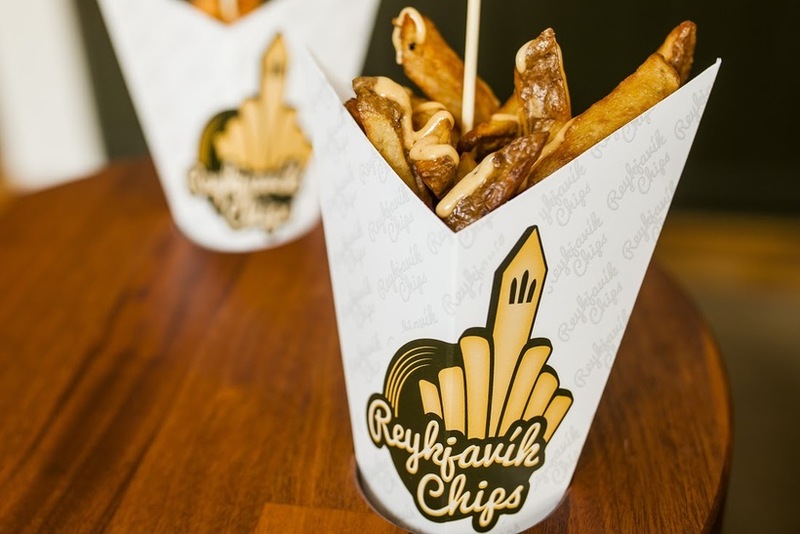 There will also be a truck devoted to French fries so if you’re a fan of quality deep fried potatoes then drop by Reykjavík Chips. You can even pick up some freshly made sushi on site and if you’re in for a classy dinner then check out Sushi Barinn. 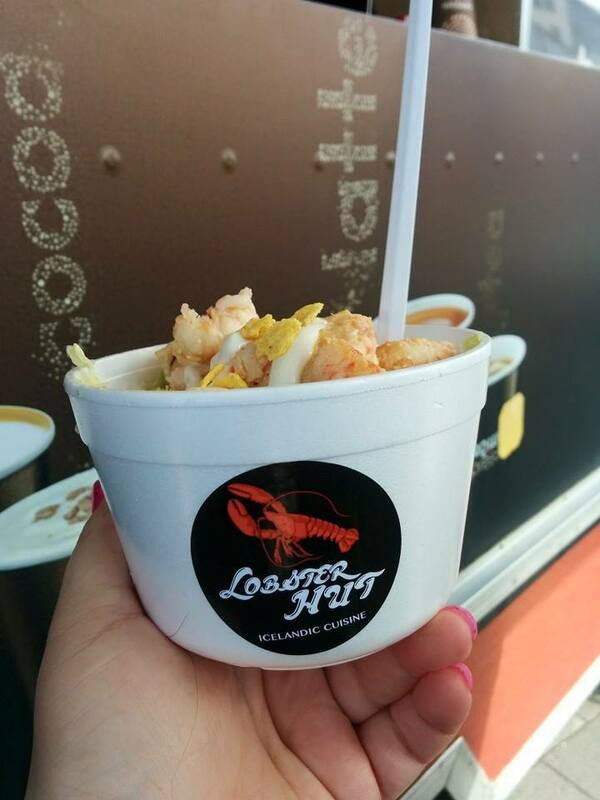 Also on site will be Nam Nam Thai Food serving delicious egg noodles and spring rolls. Not everybody likes greasy foods during festivals and of course we want to please those people as well. 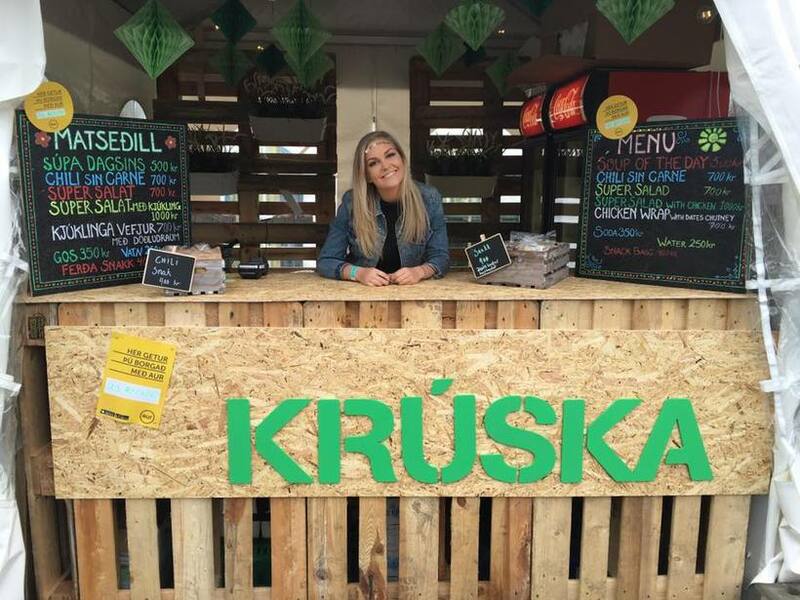 Krúska will be there and will most definitely cook something delicious and healthy. You can even pick up a cup of warm soup at Súpuvagninn which will be essential if it will rain. But it won’t rain but soup is still always a good choice in Iceland. 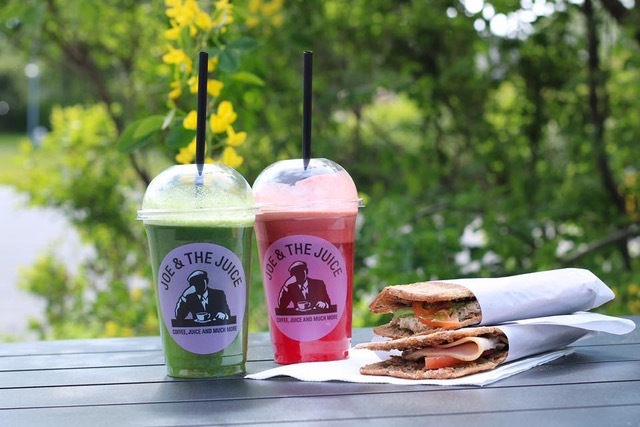 Our Danish friends at Joe & The Juice will make you some gourmet sandwiches and fresh juices if you’re in that kind of mood. 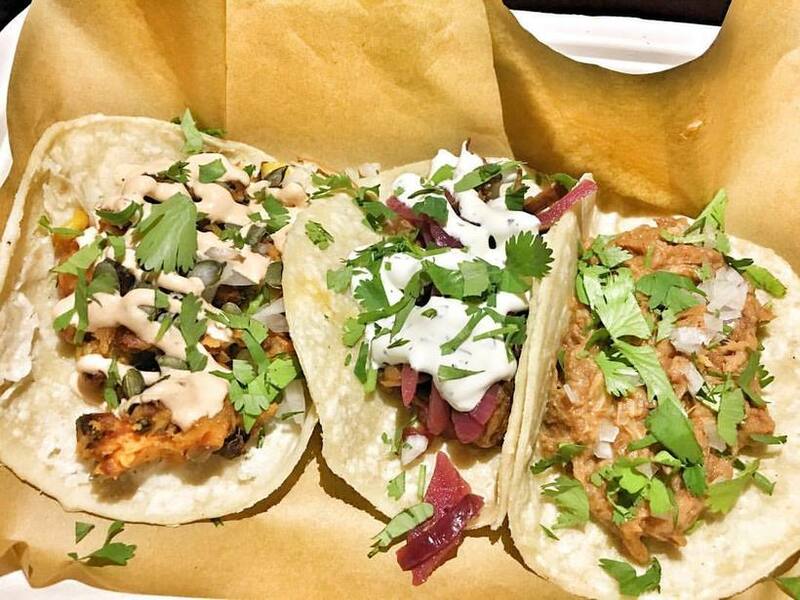 Takk Taco will open their doors for the first time at Secret Solstice and premier their delicious tacos for all festival attendees. We can’t wait! Some people can’t live without quality coffee and that’s why we only offer the best at Secret Solstice. Kaffitár is a local coffee vendor that will grace us with their presence and brew the freshest hot beverages out there. Latté, cappuccino, hot chocolate, americano, tea, you name it. Perfect to stop by Vöffluvagninn (the waffle wagon) after getting your cup of coffee. They are known for serving the best waffles in Iceland. The list is endless and we can’t name all the vendors in one post. Take a look at the Secret Solstice app for more information on all food options on site. Psssssst. There are plenty of vegan options as well. Just ask the food vendors and they will tell you all about it!